2013 was a year full of new regulatory impulses. 2014 is the year of major changes in Bank Regulation and Supervision. Which banks „have no future“? Who decides if a bank shall be liquidated? Banks with no future: Since February this year, Joint Supervisory Teams and auditors collaborate to conduct an on site Asset Quality Review. Its outcome is meant to identify European banks that might be restructured or liquidated if they do not meet the thresholds set by the joint ECB and EBA stress tests. Final results of the Comprehensive Assessment are expected in October 2014 at the latest. We expect further stress tests to follow. The decision to liquidate a bank and the source of the funds required to do so: These are major issues currently discussed by the European lawmakers, which are scheduled to be resolved until April 2014 before the EU parliament adjourns for May elections. 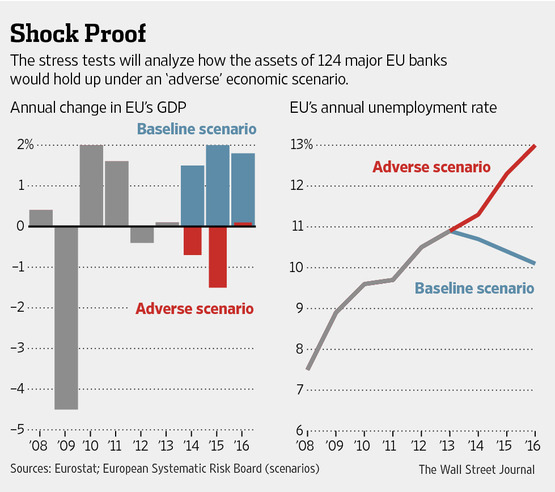 The ECB will be charged with the task of determining if a bank is failing or likely to fail. The committee which will be charged with the decision upon the resolution of a bank is still in discussion. German Finance Minister Wolfgang Schäuble suggests decision making shall take place through the plenary session of the Supervisory Board. Other interested parties are asking for more independence from national influence and favor a decision by the Executive Board. The final decision lies either with the commission or the council. Concerning the funding of the resolution costs it appears that Finance Ministers across the EU recognize a common need to demonstrate the European financial system’s robustness in a crisis. Clearly, the time period allowed for the SRM fund’s pooling will be key to signaling this strength. Accelerated funds pooling and/or an additional backstop such as the ESM are possible approaches. Details are currently debated as well. In view of these developments, movement toward restoring market credibility and restructuring the European financial system can be seen. The question remains: Who pays the bill? The ongoing negotiation on the SRM funds are connected to points already set in 2013: SRM funds shall only be used after Bail-In has taken place. The Bail-In rules will enter into force on January 2016, together with the pooling of SRM funds. In the meanwhile and with respect to the 2014 Comprehensive Assessment results, EBA and ECB asked the European Finance Minister to help banks “disappear in an orderly fashion“ by making sure that there are national resources available to carry potential recapitalisation or resolution costs. It is essential that each country contributes its part. This understanding is also mirrored by the ESM-regulation. It states that ESM funds shall only be used for direct bank recapitalisation if the respective country cannot provide the required stake. Thank you for your interest in bankenanalyse throughout 2013. This year was marked by fundamental changes in bank regulation. In 2014, we look forward to more transparency on the impact on the regulated and shadow banking system. Future research and market adjustments will show if the goal to increase financial stability, as set by the G20 Finance Ministers in 2008, can be reached. The European Banking Supervisory Board will play a crucial role in this. The next Bankenanalyse posts will appear starting February 2014. We wish you the best for a festive season and a prosperous new year. As this year comes to a close, we want to use the opportunity for an open letter to Mrs. Danièle Nouy, appointed chairperson of the Supervisory Board at the ECB, concerning the Single Rule Book with respect to goals and challenges of 2014.
the responsibility you assumed is probably the most challenging in banking business today. To qualify what is meant by “challenging” , we refer to your role as Chairperson of the Supervisory Board, which does not only require diplomacy, handling various interests which European Economies and Finance Ministers have, but also requires a strong leadership to assure consistent supervisory work which focuses on a harmonised European playing field. As defined by the G20, bank comparability and transparency is crucial to restore confidence in the regulated banking system. This is also valid for the shadow banking activities. Much work has been done so far: the fundament of the European Banking Union, the Single Rule Book, will come into force starting January 1st. To achieve the goals set, political and operational challenges must be addressed. The potential renationalisation of bank rules presents a huge challenge on the political side. A prominent example of this is the reclassification of Deferred Tax Assets. A basic guideline of the Single Rule Book stipulates that regulatory capital has to be fully paid in. 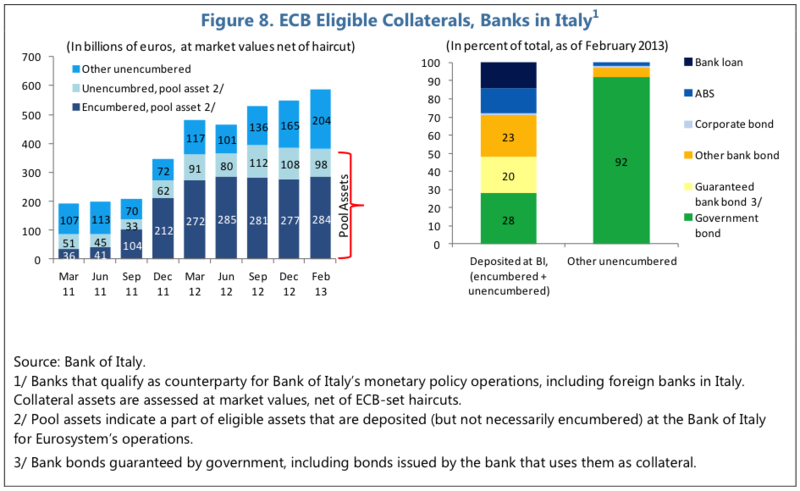 Spanish banks, by contrast, use a reclassification to improve capital ratios. This example should not be construed as fingerpointing. It is simply an example for different economic situations requesting national solutions which may be in contrast to the Single Rule Book. On the operational level, it will be crucial to understand and react to bank’s market behavior. Let us take the connection between state finance and banks as an example. The Italian sovereign exposures of domestic banks amount to about 9 percent of the assets, mostly in trading and available-for-sales accounts. As the Monetary and Capital Markets Department of the IMF states, „this exposure is relatively large compared to other advanced economies, and Italian sovereign spreads have been experienced periods of above- average volatility. Mark-to-market valuation losses could affect bank solvency, while lower market prices for sovereign bonds would reduce their collateral value for secured funding, including from the ECB. Besides direct effects, the experience of the European debt crisis suggests that acute sovereign distress can have a broader impact on the economy, further aggravating pressures on the financial sector.“ To reduce the exposure towards mark-to-market losses by rising rates, it is plausible to see more and more banks shifting sovereign bond from their available-for-sale portfolios to held-to-maturity, which will mitigate the impact that movements in the bond markets have on their tangible book values and common equity. These adjustments have an impact on key figures. A proper understanding of how figures are interconnected is essential. To remain with the Italian bank example, a high sovereign exposure goes together with a relatively high rate of ECB eligible collateral. This has a positive impact on liquidity ratios. The asset encumbrance ratio for Italian Banks shows two main patterns: first, it significantly increased from 2011 to 2013. Second, government bonds remain the main source of unencumbered assets. A decrease in mark-to-market value may have a significant impact on the asset encumbrance ratio and the possibility to refund in stressed sovereign markets. Supervisory Reporting, which is addressed in the Single Rule Book, does reference these connections. It remains a challenge to draw the right conclusions, as each market and jurisdiction, but also each bank’s business model has its own logic. This already becomes evident in the course of the Comprehensive Assessment. There are many questions to be answered on the course to developing a European financial system. Bankenanalyse sees two key ingredients which are required to handle these challenges. These are structures allowing swift and decisive decision making as well as staff which is taking responsibility to address operational hurdles and level inconsistencies to reach the defined goals. Asset Quality Review: How will the ECB treat forbeared but performing loans? In October 2013, the European Banking Authority (EBA) published binding clarification for what constitutes forbearance and non-performing loans. Apparently, the ECB is keen to use these long awaited definitions in its Asset Quality Review, as the identification of stressed but not impaired exposures is at the core of the Comprehensive Assessment. Inaccurate data regarding loans subject to forbearance. Overly optimistic assumptions used in determining the timing and size of cash flows from forborne loans in specific impairment assessments. Where does this uncertainty come from? Why is this uncertainty crucial with respect to the Asset Quality Review? We touched upon the experience made in Spain in an earlier article. This showed that Asset Quality Reviews focus on assessing the default probability as well as the loss given default estimates. In using the EBA-definitions, the ECB enjoys a range of interpretation on what constitutes adequate PDs for forebeared but performing loans and on if relevant loans should be classified as non performing loans. It is probable that some banks may have to adjust their PD assessments contingent on the final understanding of the ECB. This in turn may have an impact on accounted impairments. In addition, changing PDs as well as LGDs will impact the minimum capital requirements of banks using the Internal Ratings Based (IRB) approach. The impact will be defined in the course of the Capital Stress Test expected to start in mid 2014. Zu welchem Ergebnis die Asset-Quality-Review (AQR) und der anschließende Stresstest kommen, lässt sich aufgrund der noch in Abstimmung befindlichen Modell-Annahmen, bspw. makro-ökonomische Entwicklungen, sowie der noch nicht final definierten Methodik nur schwer abschätzen. Die Deutsche Bank beziffert den zusätzlichen Kapitalbedarf der betroffenen europäischen Banken auf 16 Mrd. EUR. Für die Commerzbank wird die Kapitallücke aus der Comprehensive Assessment auf 2,6 Mrd. EUR beziffert. Analysten der Beratungsgesellschaft Ernst&Young antizipieren eine Kürzung der Bilanzen europäischer Banken um (kumuliert) 1,5 Bill. EUR für die kommenden Jahre. Ausgangspunkt dieser Schätzung ist der Vergleich des europäischen mit dem amerikanischen Bankensystem: Die Assets amerikanischer Banken wurden in 2009/2010 um 10% reduziert. In der Eurozone wird von einer Reduktion um bislang 5% ausgegangen; die Finanzkrise hat sich – politisch gewollt – weniger direkt auf die Bankenbilanzen ausgewirkt; wir haben dies bereits kritisch gewertet. Losgelöst, aber durchaus im Einklang mit diesen Daten und mit Blick auf die AQR haben einzelne Banken bereits angekündigt, dass der Deleveraging-Prozess länger als geplant fortgesetzt wird. Für diese Entwicklung spricht auch das zusätzlich benötigte Kapital, um die Anforderungen der Regelwerke CRR/CRDIV zu erfüllen; Schätzungen beziffern einen Bedarf europäischer Banken in Höhe von 44 Mrd. EUR. Das notwendige Instrumentarium zur Neuordnung des europäischen Bankensystems ist in Arbeit. In welchem Ausmaß die Banken dann tatsächlich betroffen sind, wird neben dem politischen Willen und der operativen Stärke der EZB-Aufsicht wesentlich auch von den künftigen makroökonomischen Rahmenbedingungen abhängen. In Bezug auf die oben angeführten, noch in Arbeit befindlichen Modell-Annahmen der AQR lassen offizielle Daten, die der EBA vorliegen, rückblickend den Schluss zu, dass sich die Qualität der Kredit-Portfolien im Jahr 2012 und in HJ1/2013 weiter verschlechtert hat. Demnach stieg der Anteil ausfallgefährdeter Kredite am gesamten Kreditvolumen von 6 Prozent im Juni 2012 auf 6,3 Prozent im Dezember desselben Jahres, so die EBA im Juli 2013. Kredite gelten als ausfallgefährdet wenn der Kreditnehmer mehr als 90 Tage in Verzug ist; es handelt sich dabei um die gewichtigste Teilmenge der Non-Performing-Loans, wie von der EZB definiert. Banken aus Peripherie-Ländern wie Spanien oder Italien werden im Vergleich zum Durchschnitt der Eurozone eine höhere Last aus Non-Performing-Loans (NPL) zu tragen haben. Für die Eurozone wird erwartet, dass der Anteil der NPL an den ausgegebenen Krediten zunächst weiter ansteigt und im Jahr 2014 unter die Marke von 7,5% fällt. Für das Jahr 2017 erwartet Ernst&Young eine Quote von 4,3%; das liegt immer noch über dem Niveau vor der Finanzkrise. Definition Non-Performing-Loans (EZB): A loan is only deemed non-performing if it is in default or close to default. More precisely, a loan is non-performing when payments of interest and principal are past due by 90 days or more, in accordance with the Basel II definition of default, or when there are good reasons to doubt that debt payments will be made in full. The requirement that the asset pool backing the ABS cannot include non-performing loans applies explicitly at the time of issuance of the ABS, not throughout its entire lifetime. However, non-performing loans may not be used to replace performing loans during the replenishment period, if any. In turn, any arrears in the pool of underlying assets after issuance of the ABS do not necessarily make the ABS ineligible. Die von den Aufsichtsbehörden geplante Comprehensive Assessment setzt sich aus zwei Teilen zusammen: Einem Bilanztest inkl. einer Asset Quality Review sowie einem darauf aufbauenden Stresstest. In Frage steht, nach welcher Methode die Analyse vorgenommen wird. Die Methodik des Bilanztests 2013/2014 ist aktuell noch in Abstimmung zwischen der Aufsicht, Wirtschaftsprüfern und den beteiligten Banken. Bekannt ist aber bereits eine mögliche Ausprägung des Tests, da in der Vergangenheit bereits Comprehensive Assessments durchgeführt wurden. Ein prominentes Beispiel ist die im Jahr 2012 von dem Beratungsunternehmen Oliver Wymann (OW) im Auftrag der Spanischen Notenbank durchgeführten Analyse. Wir nehmen keine Beurteilung dieses Tests oder der zugrunde liegenden Annahmen vor. Vielmehr nutzen wir diese Daten, um eine der Methoden, nach der auch der kommende EU-weite Bilanztests 2013/2014 durchgeführt werden könnte, zu skizzieren. Um die (standardisierten) künftigen Verluste zu ermitteln, werden Änderungen bei den drei Komponenten PD (probability of default), LGD (loss given default) und EaD (exposure at default) vorgenommen. Die zugehörigen Bearbeitungsschritte gelten sowohl für laufende Engagements wie auch für notleidende Kredite. Bei Letzteren wurde in Bezug auf eine mögliche Gesundung zusätzlich konservativere Annahmen zugrunde gelegt, als von den Banken ursprünglich angenommen. Standardisierung der PD: Für jedes der sechs analysierten Portfolien (corporates, retail mortgages ect.) wurde ein Ratingmodell entworfen, um die bankspezifischen Daten einzuwerten. Um gleichzeitig bankspezifische Besonderheiten bzw. Risikofaktoren zu berücksichtigen, werden die PD’s entsprechend angepasst. Grundlage hierfür sind Daten, die von Wirtschaftsprüfern bereitgestellt werden. In einem weiteren Bearbeitungsschritt werden die PD’s auf ein standardisiertes makroökonomisches Szenario in der Ausprägung “base case” und “adverse scenario” gemappt. Standardisierung der LGD: Auf Basis der makroökonomischen Szenarien bzw. der daraus abgeleiteten PD’s wird der LGD adjustiert; im Fall spanischer Banken stieg der LGD. Standardisierung des EaD: Bei der Ermittlung des EaD werden unter anderem Tilgungsprofile, vorzeitige Rückzahlungen sowie mögliche neue Kreditengagements berücksichtigt. Ausgehend von den Ergebnissen des Bilanztests ermittelt die Spanische Notenbank in einem zweiten Schritt, ob einzelne Banken eine Kapitallücke aufweisen. Hierzu werden die künftigen Verluste der künftigen Verlustabsorptionsmasse (u.a. Eigenkapital) gegenübergestellt. Mit Blick auf das EU-weite Comprehensive Assessment wird deutlich: Der Umfang in dem Banken sensible Daten zur Verfügung stellen müssen, ist enorm. Diese Daten sind zu validieren, zu verarbeiten und auszuwerten. Um eine adäquate Qualität der Analysen sicherzustellen, stehen die Beteiligten, insbesondere die EU-Aufsichtsbehörden, vor weiteren Herausforderungen: Zum Einen gilt es eine Vielzahl von Detailfragen zu klären, bspw. zu der Methode, nach der ausgehend von einer Stichprobe die Bewertung eines gesamten Portfolios vorgenommen werden soll. Zum Anderen sind EU-weit unterschiedliche Definitionen von Begriffen wie non-performing loans ebenso zu berücksichtigen wie eine national unterschiedliche Abschreibungspraxis in Auslegung des IAS 39. Die Diskussion möglicher Konsequenzen aus festgestellten Kapitallücken ist verfrüht. Interessant sind aber die alternativen Lösungsansätze: Neben zusätzlichem Kapital oder Garantien zählt hierzu beispielsweise auch die Verbriefung von Assets. Am wahrscheinlichsten erscheint uns die gezielte Auslagerung kritischer Assets in eine Bad Bank, verbunden mit einer Restrukturierung bzw. ggf. Abwicklung der betroffenen Bank. Wir werden dieses Thema unter dem Stichwort “Sanierungsplan” aufgreifen; aktuell arbeiten die 39 von der EBA aufgeforderten EU-Banken daran ihren nationalen Ausichtsbehörden entsprechende Pläne bis zum Jahresende 2013 vorlegen zu können. Asset quality is a critical part of your financial analysis of an institution because it directly impacts the evaluation of other components such as capital, earnings, and liquidity. Asset quality often weighs heavily on conclusions regarding management and a bank’s overall condition. An on-site analysis, in conjunction with the examination team, to follow up on off-site concerns and review the bank’s assets for credit risk. This includes analyzing three additional ratios that are computed once the asset review team determines adverse classifications.